How cool is it to be nearing January but still able to eat fresh vegetables? Tonight we had a harvest meal. Simple. Just a basic vegetable medley sauté. What was so special about it is that 99% of the produce was freshly picked from the garden or stored from an earlier harvest…carrots, turnips, Tokyo bekana, potatoes, cabbage, onions and garlic. Only purchased items were butter and celery. 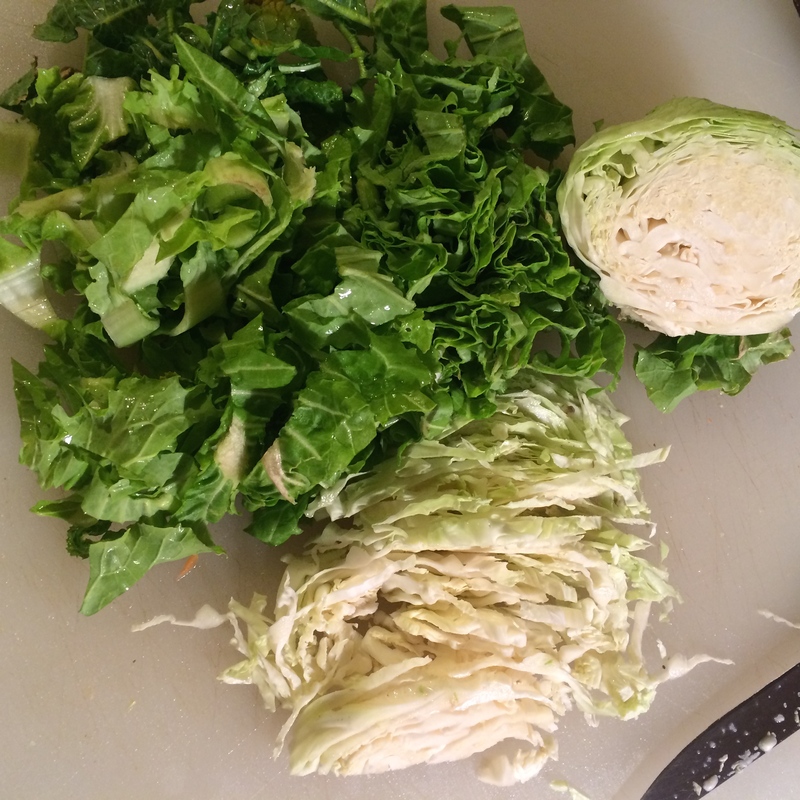 So wonderful to have one last head of savoy cabbage mixed with the sweet and delicate Tokyo bekana. Can’t beat the taste! Here’s to the simple pleasures and to looking forward to the next growing season…it won’t be long. I know, Joseph! Not much is pretty any more – outter leaves of the lettuces are frost damaged, beet greens and turnip greens are nipped, tips of the Chinese lettuce are yellowed – but beyond the aesthetics, the root veggies are holding on under mulch (carrots are crisp and sweet) and the greens delicious. Thanks for visiting our site. If you’re in the area, stop by and grab some veggies. That’s wonderful! I really need to get better about storing our produce away for the winter months. The vegetables that I planted this year (mainly broccoli) didn’t do well. We’ve had a weird season here full of warm days and very cold days. There’s always next year.